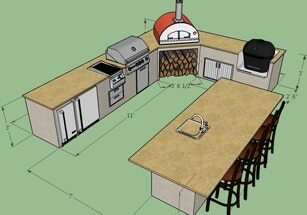 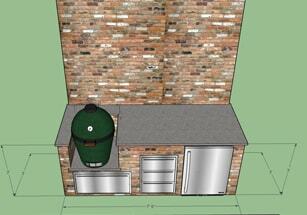 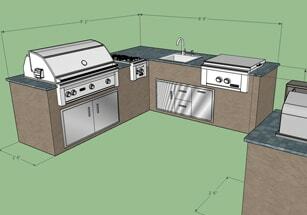 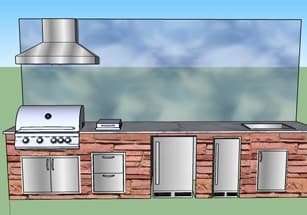 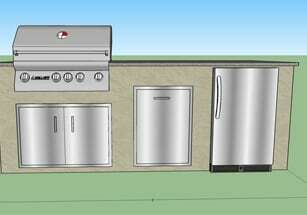 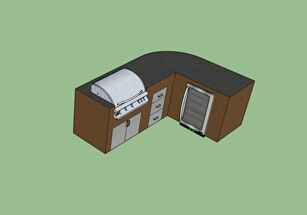 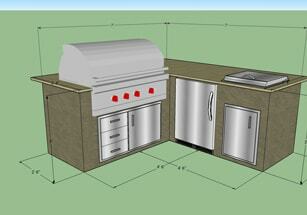 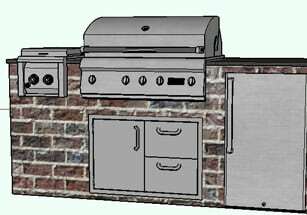 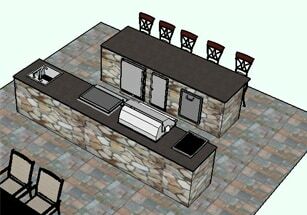 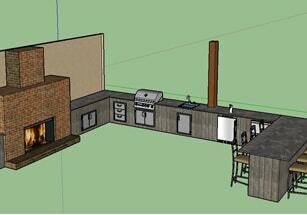 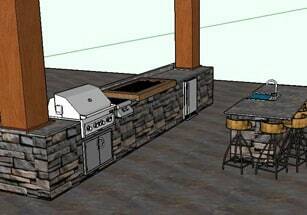 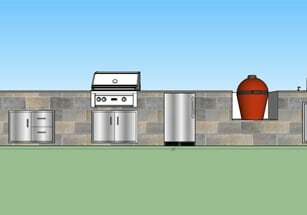 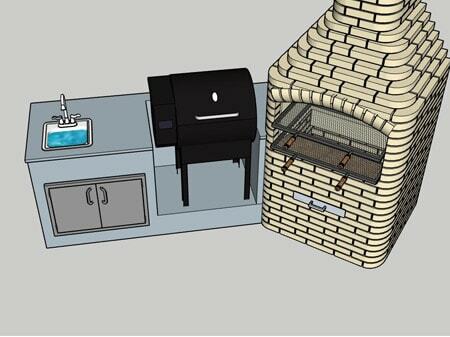 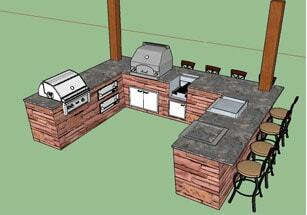 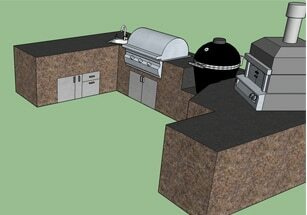 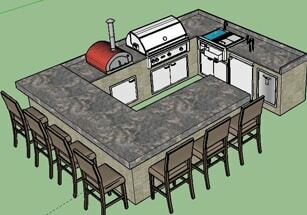 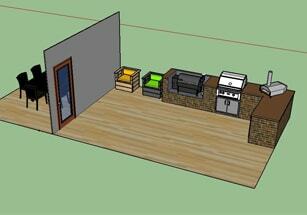 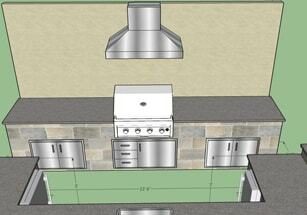 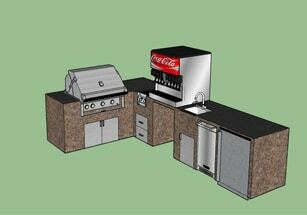 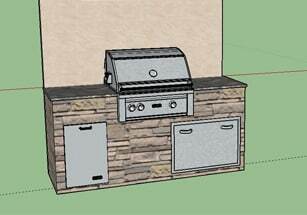 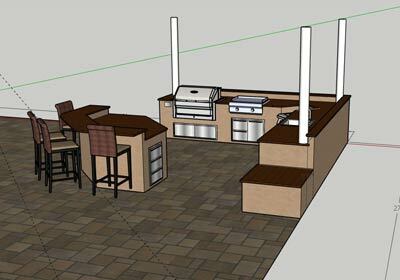 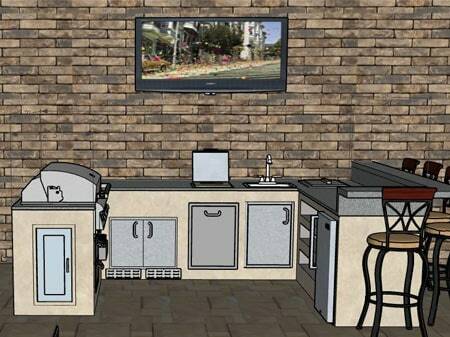 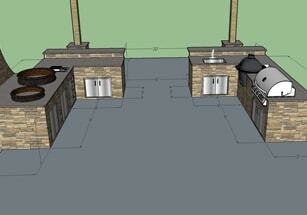 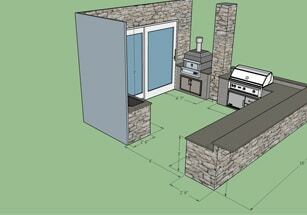 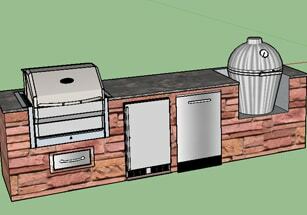 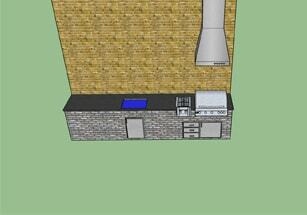 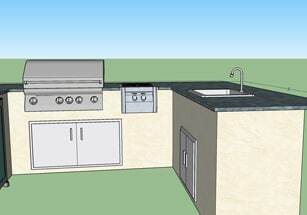 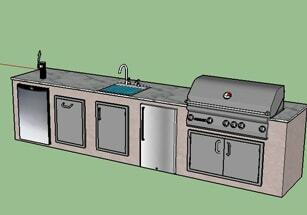 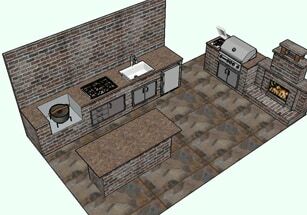 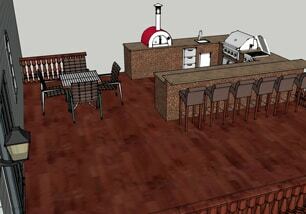 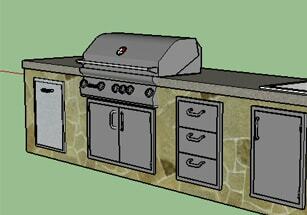 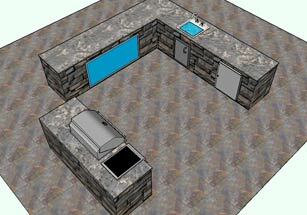 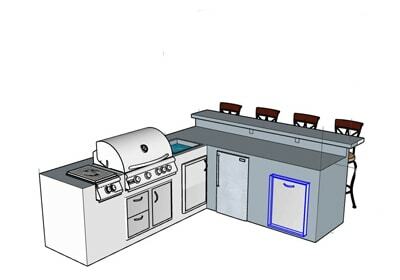 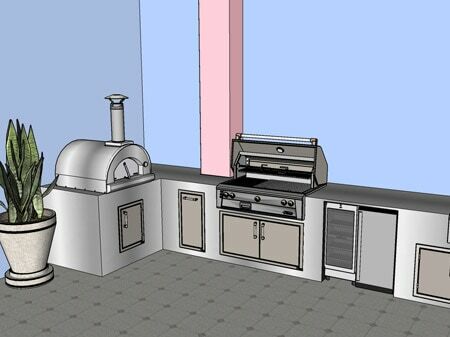 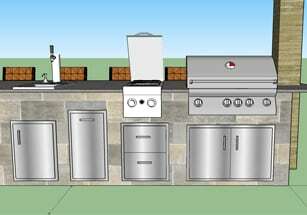 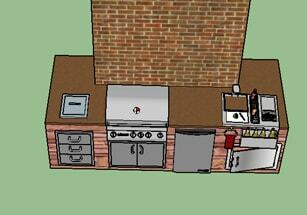 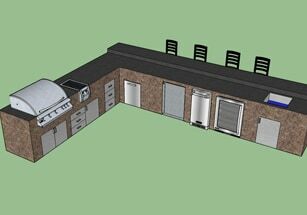 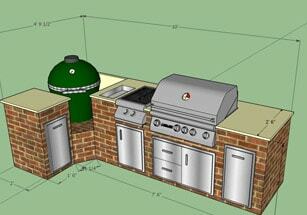 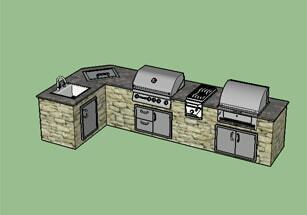 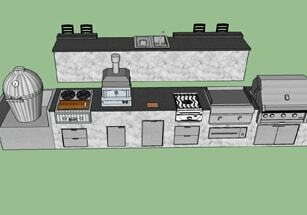 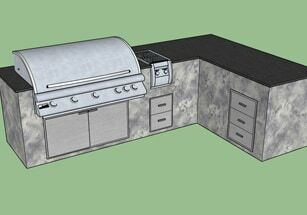 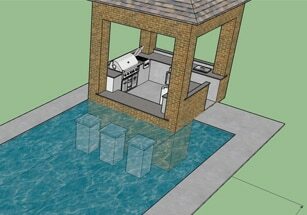 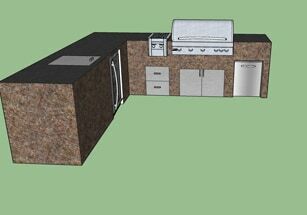 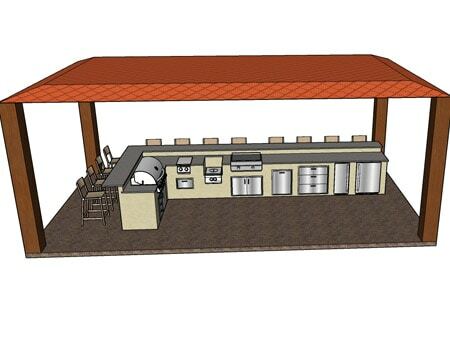 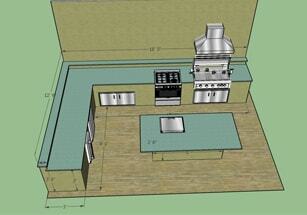 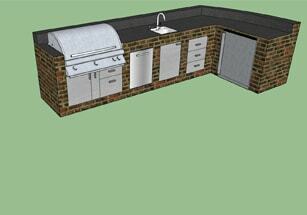 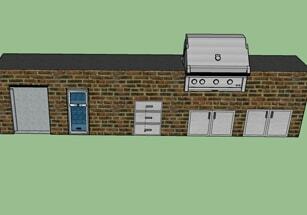 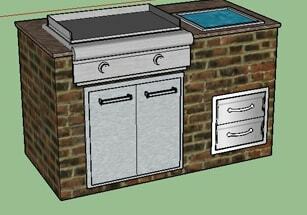 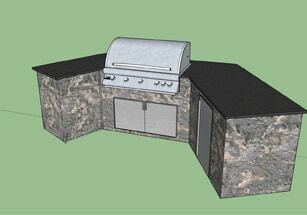 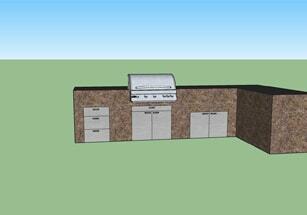 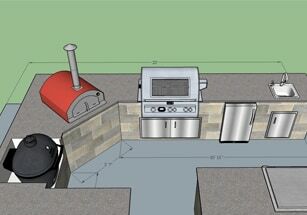 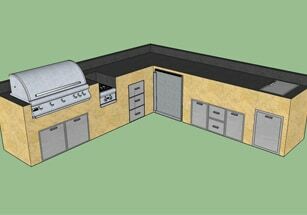 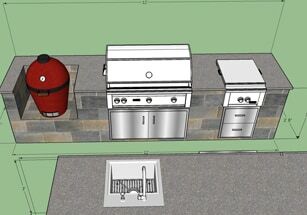 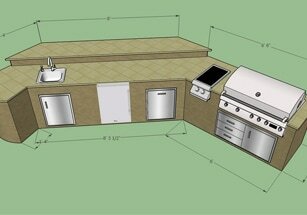 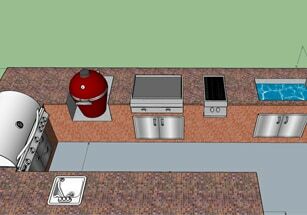 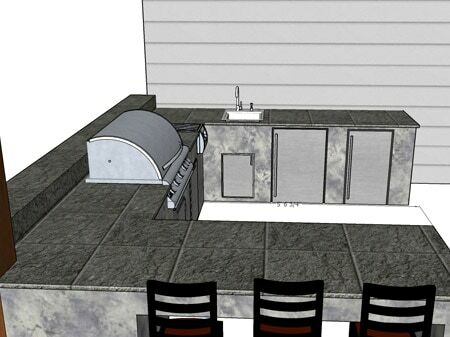 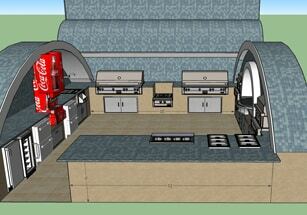 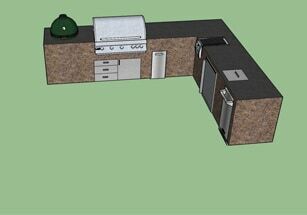 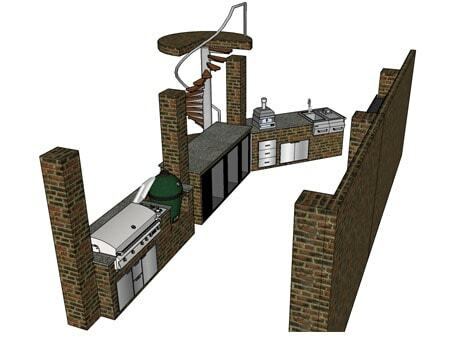 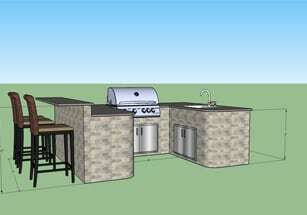 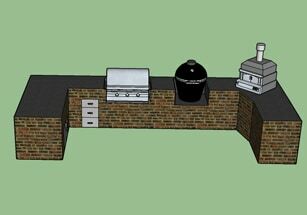 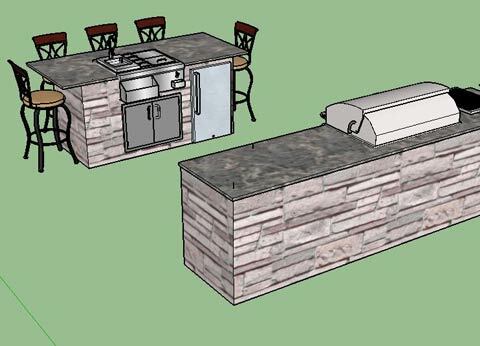 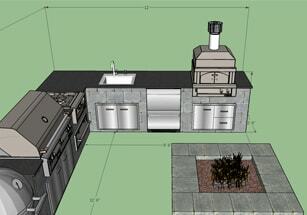 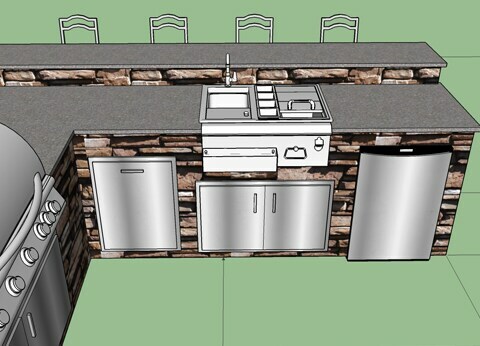 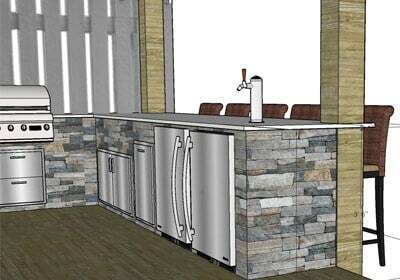 Interested in adding a bar to your outdoor kitchen but unsure what will work in your space? 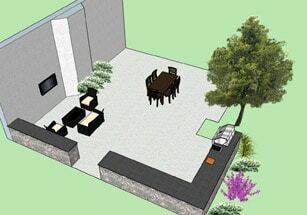 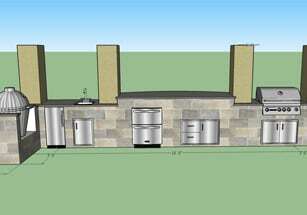 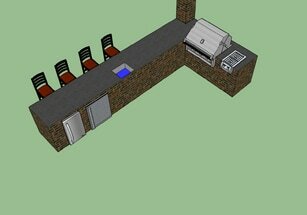 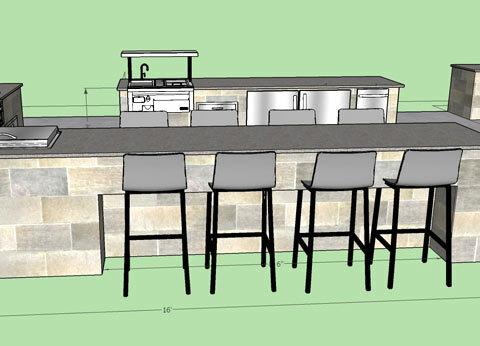 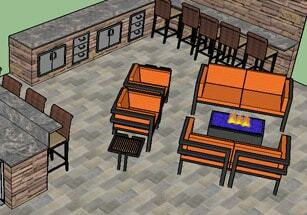 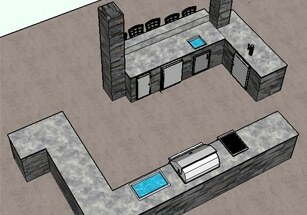 Let our design experts sketch up a design for you with an outdoor bar. 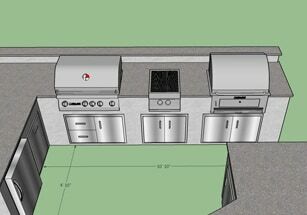 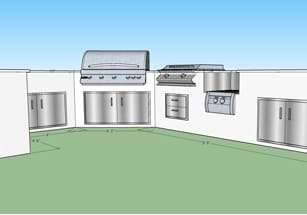 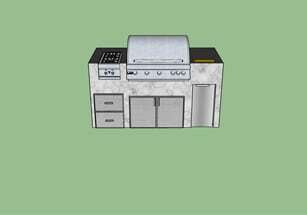 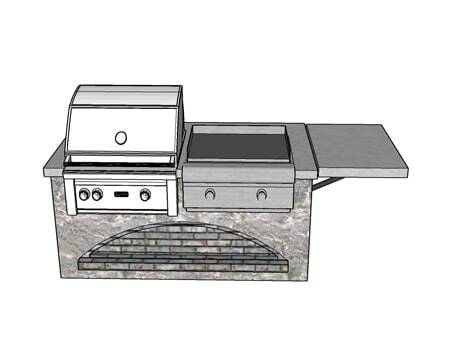 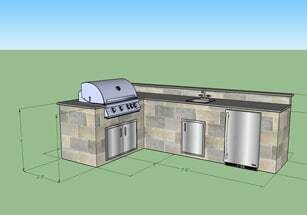 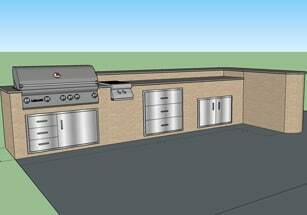 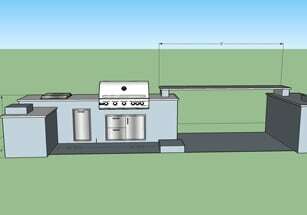 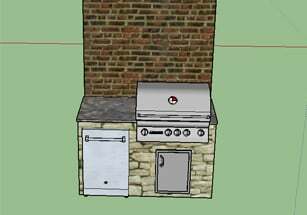 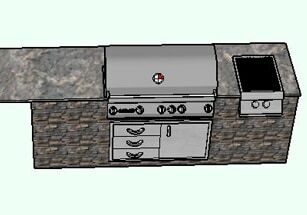 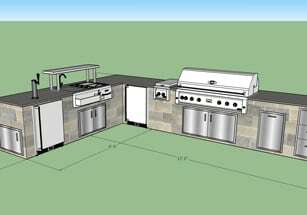 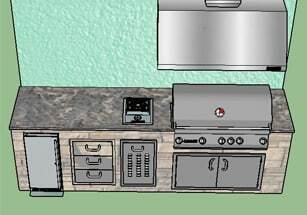 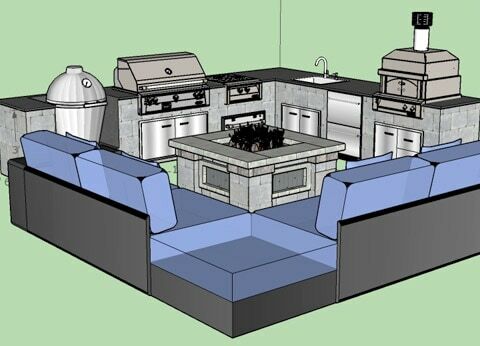 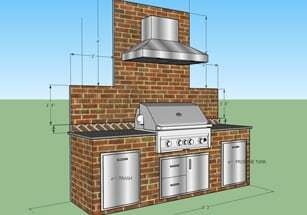 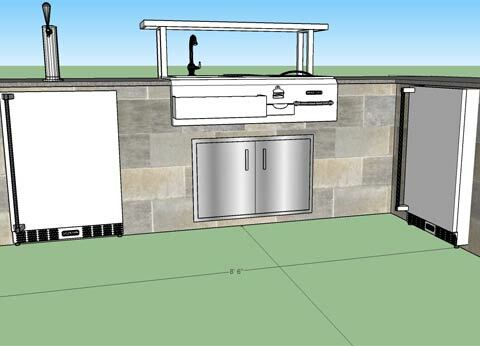 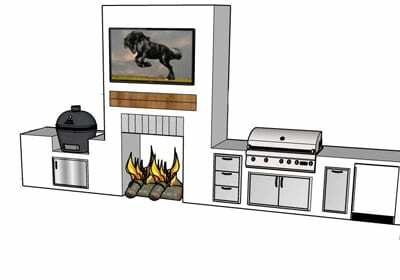 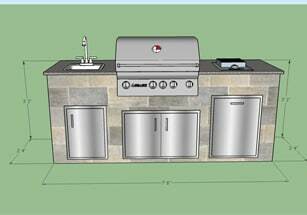 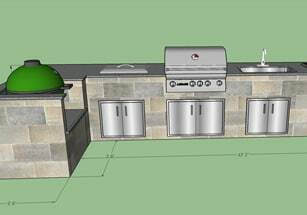 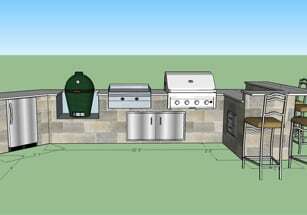 Below are some examples of sketches done for BBQGuys customers with outdoor bar components including bar centers, kegerators, ice makers, outdoor refrigerators, beverage coolers, wine coolers, bar stools. 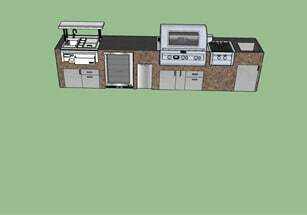 View our Outdoor Kitchen Gallery below to see some of the beautiful outdoor kitchens from BBQGuys customers.